Legal Aid of Nebraska provides assistance to low-income people, families, Native Americans, and elderly people in civil (non-criminal) matters. * Qualifying for help may be based on income and assets of all people living in your home. It is also based on the type of legal problem you have. If your household income is not more than 125% of the federal poverty level and you have few assets you may qualify for Legal Aid’s assistance. Click here to see the income guidelines. Some exceptions apply to these guidelines. If you are age 60 or older, these financial eligibility guidelines may not apply. You may also apply by telephone at the number listed below. For Victims of a recent disaster, such as a tornado, flood, or train derailment. *Legal Aid of Nebraska does not handle criminal matters in state or federal court, personal injury or workers’ compensation cases. 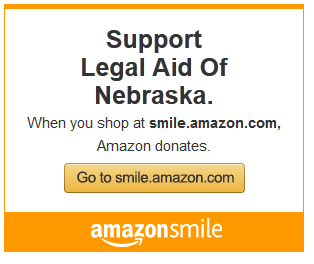 Legal Aid of Nebraska’s legal services are free; however, clients may have to pay court costs.